Mykonos Luxury Vacations & Honeymoons tailor-made just for you by DELFINIA! Mykonos is a “must see” on your island hop through the Cyclades. Enjoy world famous pristine beaches and bays and lively island life on this most cosmopolitan of the Greek Islands. Pamper yourself with luxury sea view accommodations and an array of gourmet dining experiences (some where you will dine with your feet in the sand). Relax and unwind on Mykonos’s sandy beaches (many that are organized and with family-friendly beach clubs), stroll the sidewalks of its picturesque white-washed town, and visit the sacred island of Delos—the mythological birthplace of the twin gods Apollo and Artemis. And, be sure to enjoy a sunset drink with waves lapping at your feet in Little Venice in Mykonos Town. While on Mykonos, DELFINIA may arrange private drivers, private guided tours, full or half day boat excursions to nearby islands, sunset cruises, spa treatments, private fitness or yoga sessions, and much more! Share in our local expertise and insider’s knowledge of the best beaches and clubs, great dining venues, and enjoyable activities as we arrange a memorable and exceptional Mykonos luxury vacation or honeymoon just for you. From Mykonos, you may wish to continue island hopping to Santorini, Naxos, Paros, Crete, Ios, and other nearby islands. Discover firsthand that here is no better place to relax and “unplug” than in the picturesque Greek Islands. 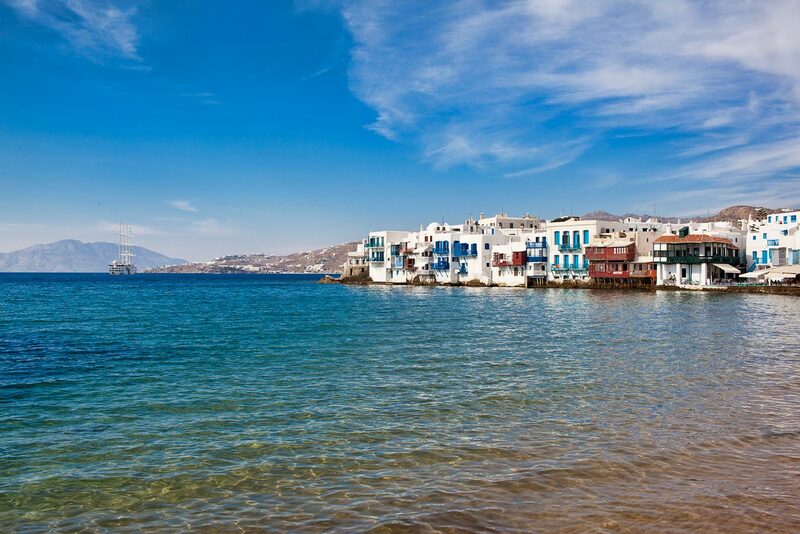 Contact DELFINIA to begin planning your ultimate luxury vacation or honeymoon to Mykonos and the Greek Islands!